The first ever CrossFit Games was held in 2007 in Southern California at what is knows as, “The Ranch”. Anyone could sign up to compete. This was the workout for the 2-day competition. In the 2008 CrossFit Games, the participants were capped at 300 and were “first come, first serve”. 2009, was the first year one had to qualify to participate, however teams were still first come first serve. In 2010, an additional round of qualifying was added, sectionals. Once you made sectionals you could advance to regionals and then on to the Games. This was also the first year for a Masters Division. Due to popularity and growth, in 2011, the CrossFit Games season included three stages for competitors. The “Open” (first stage of the qualification process) was created as an online format to facilitate participation by athletes worldwide. During the Open, a new workout is released each week on Thursday night (for a total of 5) and athletes have until Monday evening to complete the workout each week and submit their scores online, with either a video or validation by a CrossFit affiliate. Anyone aged 14 or older can compete in the Open. All you have to do is sign up at Games.CrossFit.com and log your score each week. In 2011, 26,000 athletes signed up to compete in the “Open”. In 2012-2016, participation was 69,000, 138,000, 209,000, 273,000, and 324,307 respectively. In 2016, 175 countries were represented by registered participants. Needless to say, the sport has continued to grow in popularity! The CrossFit Open workouts are hard, very hard and are typically a combination of strength and skill. The number of reps often occur in an ascending fashion with a short amount of time on the clock to get as far as you can go. This is (by design of course) to increase the intensity of the workout. If you’re an average CrossFitter (like me) why register and participate in the CrossFit Open if you know there’s no chance in hell you’ll make it any further?! Because it is in the Open where people find their threshold and ability to push through the pain. It is in the Open where you get your first Muscle up or your first pull up, or your first Clean at a weight you never thought possible. The Open is where you exceed your own expectations and find out what you’re truly made of. The Open is where the community you’ve worked out with all year long, the community that has shared in your joy and in your defeat comes together to grind and push the boundaries of your personal fitness. 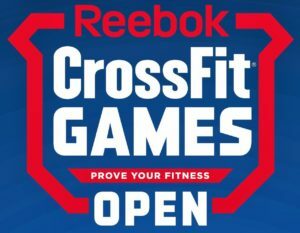 For 5 weeks, beginning on February 23rd, CrossFitters worldwide will be glued to the CrossFit Games website to hear the first Open workout of the 2017 CrossFit Games season be announce. We will watch as 2 athletes go into head to head competition to see who can go the farthest/fastest to be the best. CrossFit NBS will then program the exact workout for our group to perform every Friday night for 5 weeks (with the exception of the 1st one as I have to be out of town..we’ll do it on Monday). Often, a workout is repeated from the previous year so you can test your fitness and see how far you’ve come in a year. The workouts are scary and they make us nervous, but completing them (no matter what level) make us proud! If you happen to be in the gym on the nights our CrossFitters tackle the workouts in the Open, cheer us on, give us high fives and push us to finish at our best! This is our opportunity to prove our fitness!